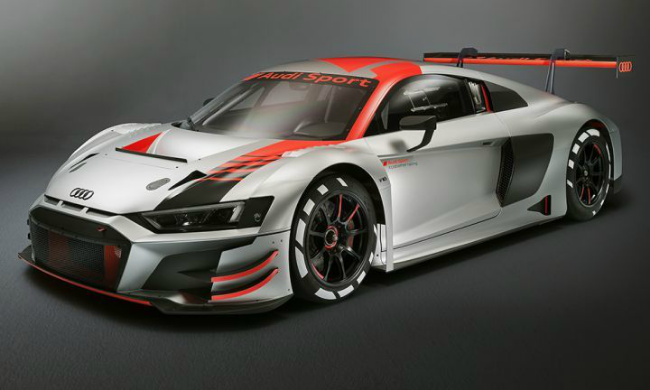 Although Volkswagen and Co. decided to skip this year’s Paris Motor Show, Audi decided to take part in the event to showcase the updated version of its championship-winning second-gen GT3 model - the R8 LMS GT3. Called the Evo, Audi will offer the race car as brand-new vehicle or as a kit for existing customers. Among the key areas the company worked upon include improving the race car’s drivability, which should come in handy for those dipping their toes in the world of racing for the first time in their lives. Other changes include updated aerodynamics in the form of modified front bodywork and an all-new splitter to provide extra downforce. The engineers have even figured a way to improve airflow to the rear brakes and evacuate the air from the discs faster and more efficiently than before. Mechanical changes include an improved gearbox and a more durable clutch that Audi says will decrease the rebuild interval by more than 50 per cent, which means you get more time to hoon around the track. Surprisingly, the 5.2-litre V10 engine that powers the GT3 Evo is a “nearly unchanged” version of the road car’s engine. The race car’s engine has a scheduled service interval of 10,000kms and needs a rebuild after every 20,000kms. Audi says the new race car is already on sale. A brand new one will set you back by $460,000 (Rs 3.37 crore approx. ), while the Evo kit is available for $32,000 (Rs 23.4 lakh). Watch latest video reviews of Audi R8 to know about its interiors, exteriors, performance, mileage and more.